In April 2018, the Unrepresented Nations and Peoples Organization (UNPO) organised two screenings: one on the conditions of Maya women in Guatemala, attended by MEP Julie Ward, and another one on the dire situation of the Hmong in Laos, hosted by MEP Ignazio Corrao at the European Parliament. The UNPO also contributed to a report on Tibet on the occasion of the Universal Periodic Review of the People’s Republic of China. Three UNPO Representatives respectively participated in the UN Permanent Forum on Indigenous Issues in New York, US and in the International Journalism Festival in Perugia, Italy. Finally, the UNPO successfully convened two major events: a conference on the China-Pakistan Economic Corridor in Berlin attended by high-level politicians and a large-scale march for the freedom of Uyghurs in Brussels that gathered around 2,000 people. On top of that, the UNPO warmly welcomed the Assyrian Confederation of Europe that now has a permanent office in our Brussels premises. 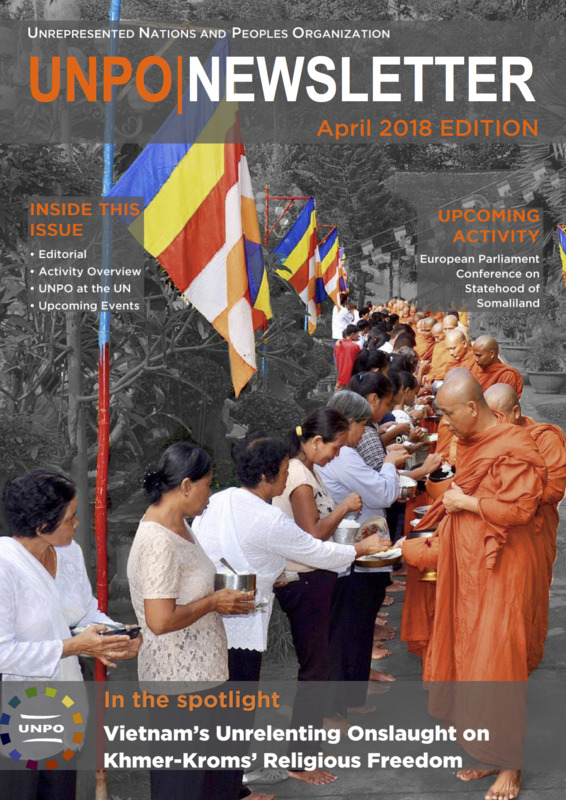 To read more about that and learn more about our upcoming activities, download the April 2018 Newsletter here.